Guy Debord once said, that when the real world becomes the spectacle of stacked images, imagery becomes the only thing that is real. Photography, is the exact perpetrator of this post-industrial spectacle. Photography simulates, dismantles and re-creates the monumental work of Susan Sontag, On Photography, as nothing is left but "photo-" related words. 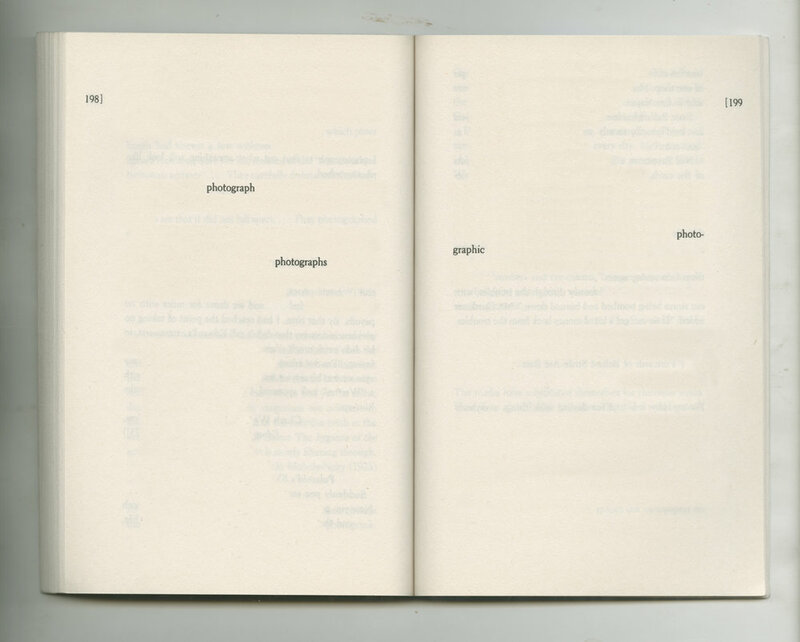 The work acts as a ghostly shadow of the original book, leaving traces of manipulation and characteristics of the apparatus. 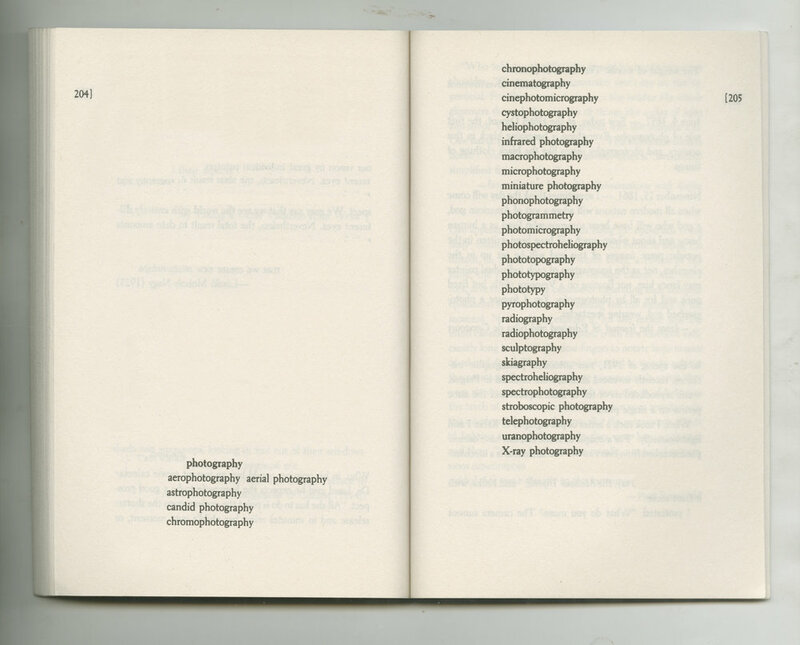 The exploitation of words and objects makes "photography" become ambiguous - Is this a book or a series of images? Is this a self-manifesto of photography or an epitome of our age?